Click here to submit your request for a Big Canoe Adventure. Be sure to include as many details as possible to help us best meet your needs. You and the rest of the group will enjoy a fantastic day out canoeing with your guide in our 25′ Voyageur-style War Canoes, while exploring our area’s outstanding natural beauty. From half-day and full-day excursions to overnight trips, we’ve got the perfect trip for your group. We also offer exclusive resort trips, private trips, corporate outings, team building and other special events. The shared experience of enjoying time on the water is sure to create lasting memories. We have paddling destinations from North Florida to Coastal Georgia to meet all of your paddling desires. If you can’t find the information you need on our website, or on our FAQ page, feel free to Email us at: info@BigCanoeFun.com. To request a trip or make a reservation, click, “Book Your Trip Today,” or click on the, “Book a Tour” tab above. 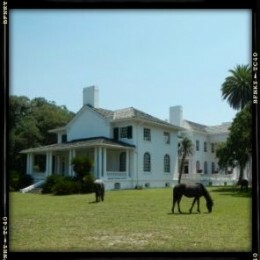 Wild horses and miles of deserted, sugar-sand beaches are just a couple of the unique treasures which give Cumberland Island its beauty and charm. Paddling a War Canoe to Cumberland transports visitors back in time and adds an element of adventure to any visit. Experience Urban Paddling on the St.Johns in the heart of The River City; visit the Jacksonville Zoo in our 25′ Voyageur-style Canoes; paddle to Kingsley Plantation; or, explore the marshes and protected harbors of the First Coast – all within minutes of Downtown Jacksonville. 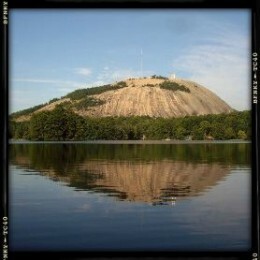 Enjoy a leisurely paddle around Stone Mountain Lake in our Big Canoes or bring your group out for team building or canoe races at the base of Stone Mountain. View the covered bridge, grist mill, carillon and the mountain’s famous carving from the water in big, stable War Canoes. We offer guided War Canoe tours for up to 18-guests. War Canoe adventures are perfect for weddings, reunions, business meetings, team-building, wellness programs, church groups, school groups or for just getting away from it all with a few friends and letting-go. War Canoe outings are the perfect escape from the stresses of life and work. We specialize in providing private outings for organizations, groups and businesses seeking to reward members, customers or employees, improve morale and wellness or increase creativity and productivity. War Canoes, or Big Canoes, are the perfect “floating classrooms” for groups wanting to experience nature all together in a completely unique way. Big Canoes allow the entire group to stay together and close enough to hear the interpretive guides leading the expedition. Tired of the same old company outing? Treat your employees to some Big Canoe Fun and a truly memorable day together. We have developed team building, corporate activities, staff rewards and client entertainment for some of the country’s largest companies. Adventure Feeds the Soul. Schedule your War Canoe Adventure Today to Rejuvenate and Replenish your Soul with some Big Canoe Fun! Canoe-to-the-Zoo with your group in our 25′ Voyageur-style Canoes. 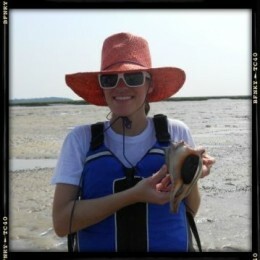 Imagine telling your friends about the wild animals you saw on your canoe trip! 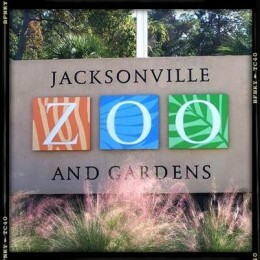 This trip includes Free Admission to the Jacksonville Zoo and Gardens and plenty of time to enjoy a picnic on the dock and visit the animals and exhibits before stepping back in the Big Canoes and returning to the put-in. Visit a restored Carnegie mansion and enjoy a picnic under the Live Oaks on the grounds of Plum Orchard just as the mansion’s original owners might have done more than 100-years ago. 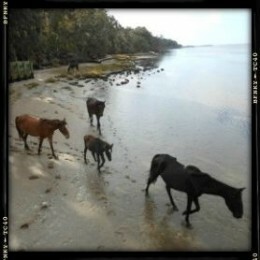 The Brickhill River and horses roaming freely create a picture-perfect backdrop for your experience on the island. Paddling a War Canoe to Cumberland adds an element of adventure to your visit. Historic waterfront buildings, salt marshes and a marina made for sunsets provide an ideal backdrop for leisurely paddles – and the perfect place for a War Canoe adventure. 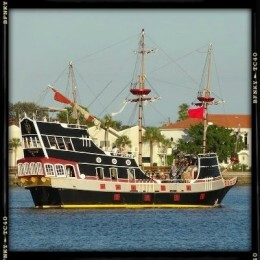 Paddle past historic Castillo de San Marcos and under the Bridge of Lions on the way to the Municipal Marina where we’ll enjoy a snack and check out El Galeon before returning to the put-in. Paddle a War Canoe through the Timucuan Preserve and enjoy the scenic dunes, marshes and hardwood hammocks while experiencing one of the last unspoiled coastal wetlands on the Atlantic Coast. 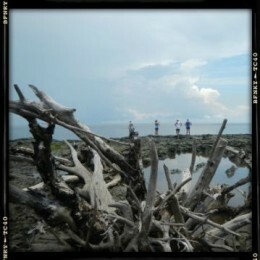 Step out of your Big Canoe, enjoy a snack and take advantage of the many photo opportunities as you explore a driftwood-strewn beach. "Up The Creek Xpeditions is a five-diamond outdoor entertainment source! Cabin Bluff Lodge has discovered that they are the best in outdoor paddling adventures. Their trips are catered to the individual groups to ensure that they are educated, entertained and have fun along the way. Jennifer and Pete have put together a great operation with the best in equipment, a very qualified staff and they ensure that safety is foremost. They listen when you have special requests and needs, ensuring that those requirements are surpassed! If coastal Georgia is in your future plans, their trips are a great way to see it." At Up The Creek, nothing is more important than your experience. For nearly two-decades, we’ve provided our guests with unparalleled customer service and attention to detail in order to create the best possible paddling experience. Our staff of professional guides and instructors is comprised of some of the most experienced paddlers in the region – with credentials that are unmatched in the industry. We love exploring wild and scenic places; and we love sharing our passion for paddling. With some of the most interesting waterways and wildlife in North America, our highly-personalized service and tailor-made adventures ensure your experience will be unforgettable from beginning to end. Our company has built its reputation on exceptional quality, extensive experience, high safety standards, personalized, friendly service, and a strong commitment to the culture, history and natural environment of each of the areas in which we paddle. It is our goal to have a positive impact on everyone we paddle with.